Professor Damousi is an ARC Kathleen Fitzpatrick Laureate Fellow and Professor of History at the University of Melbourne. She is the Chief Investigator of the ARC Funded Child Refugees and Australian Internationalism Laureate Fellowship. Her publications include: The Labour of Loss: Mourning, Memory and Wartime Bereavement in Australia (Cambridge 1999; Shortlisted for the NSW Australian History Prize); Freud in the Antipodes: A Cultural History of Psychoanalysis in Australia (UNSW Press 2005; Winner of the Ernest Scott Prize); Talking and Listening in the Age of Modernity: Essays on the History of Sound (ANU Press, 2007) (ed. with Desley Deacon); Colonial Voices: A Cultural History of English in Australia, 1840-1940 (Cambridge 2010; Shortlisted for the NSW Australian History Prize); and What Did You Do in the Cold War Daddy? Personal Stories from a Troubled Time (UNSW Press, 2014), (ed. with Ann Curthoys). In 2015, Memory and Migration in the Shadow of War: Australia's Greek Immigrants after World War II and the Greek Civil War, was published by Cambridge University Press. This study aims to generate new and powerful understandings of the history of child refugees in Australia from 1920-1970. A focus on child refugees has remained an unexplored area of historical analysis in the work on the history of refugees in Australia. This project aims to explore how this history is tied to the history of Australia's international role on refugee and migration issues and how this past can inform us about current and future approaches to refugee policy. Its focus will also be on the campaigns undertaken on behalf of child refugees conducted by relief agencies and humanitarian organisations. Damousi, Joy. "The Campaign for Japanese-Australian Children to enter Australia, 1957-1968. A History of Post-War Humanitarianism," Australian Journal of Politics and History 64, no. 2 (2018): 211-26. When did Australia resort to conscription? Professor Joy Damousi on the Pursuit website. I am the child of Greek post-war immigrants. I grew up in the inner-Melbourne suburb of Fitzroy in the 1960s and early 70s. Professor Joy Damousi talks about the 'Child Refugees and Australian Internationalism from 1920 to the present' project. Mary Tomsic is an ARC Postdoctoral Research Associate researching the history of visual representations of child refugees. Her broad teaching and research interests are in cultural history in particular visual culture, film and history; historical representations in popular culture; Australian film culture as well as understandings of gender and sexuality. Her book Beyond the Silver Screen: A History of Women, Filmmaking and Film Culture in Australia 1920-1990 was be published in October 2017. Mary is a co-convenor of the Australian Women’s History Network and the Melbourne Feminist History Group. My project explores shifting understandings of child refugees and displaced children depicted in visual sources since 1920. I will examine a range of representations over several decades, including photographs, film, fundraising materials, picture story books, newsreel and television footage and children's art works. Through these visual representations, I will explore how child refugees have been characterised and the role of visual depictions in mobilising support or opposition to child refugees in Australia and around the world. In drawing together a wide array of visual depictions I hope to better understand the impact of visual culture in the stories and histories that are told about displaced children in the past and today. Today women are demanding that they be taken equally and seriously in the film industry (witness the recent protest in Cannes and the #Metoo movement) But what has been the history - to what extent have women been able to tell their stories? Here's Trevor Chappell with Dr Mary Tomsic from the School of Historical and Philosophical Studies, Faculty of Arts, University of Melbourne – and author of ‘Beyond the Silver Screen - A History of Women, filmmaking and film culture in Australia 1920-1990'. Trevor Chappell discussed this with Dr Mary Tomsic who is part of a team looking into the child migrant experience. She is from the School of Historical and Philosophical Studies, Faculty of Arts, University of Melbourne. Dr Mary Tomsic speaks with Clare Bowditch about her recently published book, Beyond the Silver Screen. The interview begins at 1:05:27. Dr Mary Tomsic talks with Fran Kelly on the ABC's RN breakfast program about how women, as early as the 1920s, have been making their mark in the world of film in Australia. Dr Mary Tomsic discusses her book Beyond The Silver Screen; A history of women, filmmaking and film culture in Australia, 1920-1990 (Melbourne University Press, 2017) with Perth community radio station RTR FM. Dr Mary Tomsic on the Pursuit website: "Since civil war erupted in Syria six years ago, millions of refugees have made the perilous journey, by land and sea, to Europe, to escape bloodshed and conflict. It’s been referred to by organisations like the United Nations as the “biggest refugee crisis since World War 2”. Dr Jordana Silverstein is an ARC Postdoctoral Research Associate, researching the history of Australian government policy towards child refugees from 1970 to the present. Her research has examined histories of modern Jewish identity, memory, sexuality and diasporism, and explored notions of belonging and racialisation, in Australia and the United States. She is the author of Anxious Histories: Narrating the Holocaust in Jewish Communities at the Beginning of the Twenty-First Century (Berghahn Books, 2015hb, 2017pb) and co-editor of In the Shadows of Memory: The Holocaust and the Third Generation (Vallentine Mitchell, 2016). Jordana is a co-convenor of the Australian Women's History Network and is on the Editorial Board of Australian Historical Studies, and in 2016 was on the judging panel of the non-fiction prize for the Victorian Premiers Literary Award. This project investigates the ways that child refugees have been discussed and managed through Australian immigration policy since 1970. Starting with the notion that neither the child nor the refugee are natural categories, but rather are historically created and produced, and do particular work, this research will present a cultural history of the production of this category of person, by governments, politicians, policy makers, and the general public, to understand the moments when it becomes visible, and what it is used for. This research will examine the histories of particular instruments, ideas, and pieces of legislation - such as the Immigration (Guardianship of Children) Act 1946 - as well as the emotions which swirl around, and are produced by and through, this field of policy-making. Jordy Silverstein and Max Kaiser on the Overland website 23 February 2016. The focus on children leads to a perpetuation of a discourse around asylum seekers that is ultimately damaging to longer-term aims of dismantling the border regime. How do modern Jewish communities narrate the Holocaust? Jordana Silverstein on the ABC News website. The Israeli Prime Minister's offended Palestinians and Jewish Holocaust survivors. He's left historians astonished, and in Israel inspired widespread mirth and hundreds of new internet memes. Jordana Silverstein, RN Afternoons on the ABC Radio National website. When it comes to educating young people about their history and the history of others, parents and teachers must work out how to interpret events in order to paint the most accurate picture of what occurred. Dr Rachel Stevens received her PhD in immigration and refugee history at Monash University in 2011. During her Kathleen Fitzpatrick Laureate Fellowship, Rachel conducted extensive archival research throughout Australia and in the United States (states of New York, Rhode Island, Minnesota and Ohio), Britain and Switzerland. Based in part on her doctoral research her first book, Immigration Policy from 1970 to the Present (Routledge) was published in 2016. During the spring of 2018 Rachel was a research fellow at the National Library of Australia, conducting extensive research on her current project, Refugees, Relief and Revolution. Australians in the Bangladeshi Liberation War. 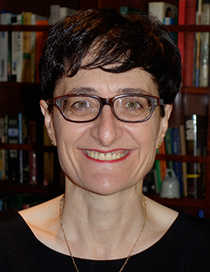 In 2019, she will be co-editing a special issue of The Australian Journal of Politics and History with Professor Joy Damousi on the interdisciplinary theme, Refugees: Past and Present. Sarah Green's research and professional work focus on the experiences of people who lived through adverse circumstances in childhood. She is particularly interested in how children's lives are heard, understood and remembered in different contexts. Her PhD research combines oral histories with artefacts, diaries and other records kept by children at the time of the war. Through these sources, Sarah draws attention to evidence of children's resilience and agency. She is also interested in how memories narrated by child survivors should be positioned and understood within the current political climate in Bosnia, where the lives and deaths of children have become a focal point for debate about war remembrance. Green, Sarah (2018), "'All Those Stories. All Those Stories.' How Do Bosnian Former Child Refugees Maintain Connections to Bosnia and Community Groups in Australia?" in Immigrants and Minorities 36, No. 2, pp. 161-177. Niro Kandasamy is a PhD candidate in the School of Historical and Philosophical Studies at The University of Melbourne. She completed her undergraduate degree at the University of New South Wales in 2013 (Honours Class 1). Before commencing her PhD in 2015 under the supervision of Professor Joy Damousi and Dr Jordana Silverstein, she worked as a social researcher for Western Sydney Information and Research. She also worked as a social researcher for Anglicare Victoria from 2015-2017. Throughout her PhD candidature, she has been presenting her research at conferences in Australia and overseas. She also has published articles in Medicine, Conflict and Survival, Forced Migration Studies, Australian Social Work, and a book chapter in Disability and Rurality: Identity, Gender and Belonging (Routledge, 2017). In 2016, she was awarded the Prue Torney Memorial Prize to undertake archival research in Sri Lanka. Her broad research interests include forced migrant histories, refugee resettlement and welfare service delivery. She is also currently working as a sessional tutor and research assistant. Her PhD study explores the resettlement experiences of Sri Lankan Tamil forced migrants arriving in Australia during the late twentieth century. The study draws on oral history interviews and archival materials collected in Australia and Sri Lanka to present new insights into the everyday lives of Tamil children navigating new landscapes. The study reveals how key aspects in Tamil children’s lives such as education, religion and culture were connected to spaces and contexts around histories and ideas that shaped their past. Anh Nguyen was a Vietnamese child refugee raised in Carrollton, Texas. She graduated with a Masters of Theological Studies from Harvard Divinity and Bachelors of Arts in English Literature from Bryn Mawr College. In 2002, she had a postgraduate fellowship from Harvard to conduct research interviews about the acculturation of Vietnamese in Australia. She then worked with Harvard School of Public Health on AIDS research and treatment in Nigeria, and became a bilingual legal aid advocate for Vietnamese immigrants in Boston. She currently works as a paralegal for Native Title Services Victoria and is pursuing her PhD on the oral history of Vietnamese Australian child refugees in Australia. The research captures the history of Vietnamese Australian child migration, acculturation, and factors that that contributed to their success and challenges as adults. Based on the narratives of child refugees, unaccompanied minors, adoptees, and reverse migrants living and working in Vietnam, it examines what are the historical, cultural, psychological, family and self-generated narratives that have motivated and sustained them as adults? How has this contributed to their public, private, economic and social success in Australia? It also investigates the international policies and political ideologies from 1975 to 2000, how they impacted those experiences, and how they differ from our current perspective on refugees and asylum seekers. 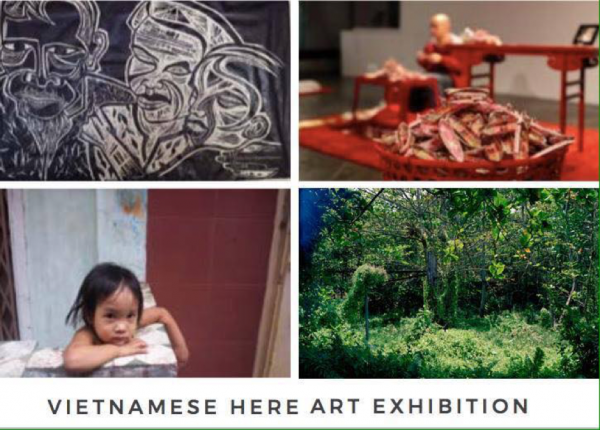 To celebrate over 40 years of Vietnamese refugee presence in Melbourne, Anh Nguyen curated an exhibition of contemporary Melbourne based Vietnamese artists and writers, some of which are interviewed for her PhD about the success and challenges of Vietnamese Child Refugees in Australia. It was also an opportunity to reflect on the discourse of historical memory and place of Vietnamese in Australian contemporary culture today. The program featured opening remarks from Joy Damousi, Professor of History and Principal Investigator, ARC Kathleen Fitzpatrick Laureate Fellowship on History of Child Refugees, The University of Melbourne.